News 20/11/2018 by "Launch Recruitment Team"
Launch Recruitment are the winners of the 2018 SEEK SARA Award for Medium Recruitment Agency of the Year. 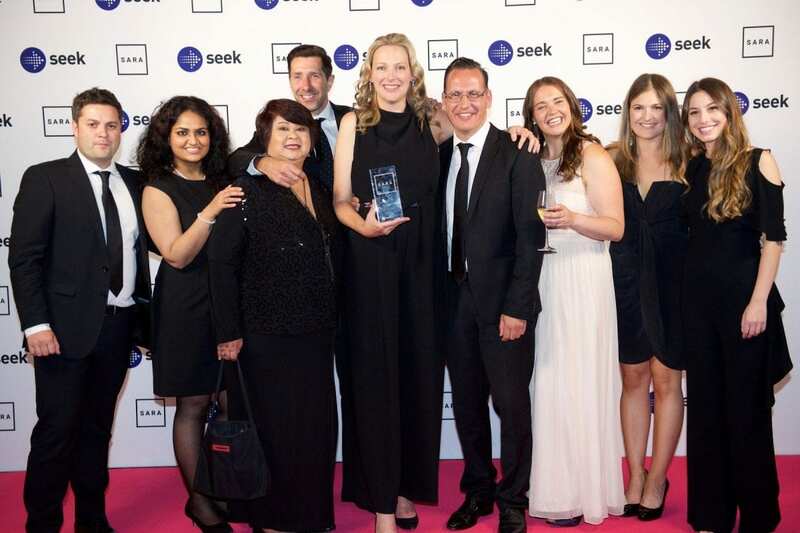 The SEEK Annual Recruitment Awards (SARAs) are held in very high esteem throughout the Australian recruitment community as they recognise the innovative people and agencies pushing for excellence in the industry. The 2018 Seek Sara Awards were held in Melbourne at The Forum Theatre, and the night was certainly one to remember. Launch Recruitment was honoured to be announced as the winner of the Medium Recruitment Agency of the Year Award! Launch CEO Rebecca Wallace said, “An award like this is all about team effort, I feel so fortunate to work with great people every day and also a big thanks to Seek for their support of our business over many years”. A record number of submissions were received by Seek this year, so Launch are grateful to have won from a large number of high calibre applicants. After a rigorous judging process, an expert panel of judges selected Launch Recruitment as winners of Medium Recruitment Agency of the Year based Launch’s commitment to workplace culture, innovation, candidate engagement, commercial growth and contribution to the success of the recruitment industry as a whole. In line with this achievement, Launch will continue the commitment to delivering exceptional service to our clients and candidates and look forward to continuing our strong relationship with the industry. Congratulations to all finalists and winners and a huge thank you to all of our customers, suppliers and staff for without whom, this commendation would not be possible.